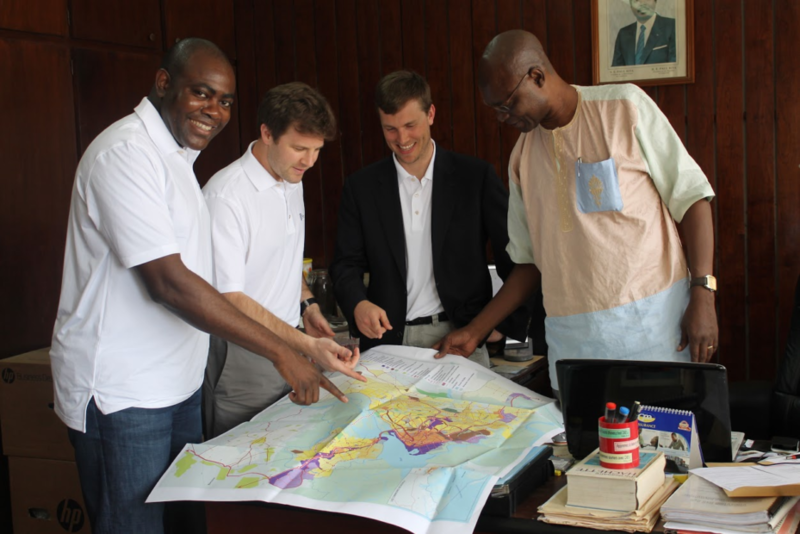 When Ben Bullock came to Wharton’s MBA for Executives Program, he wasn’t expecting that his next career step would involve launching a real estate investment fund in Sub-Saharan Africa. Yet that is what he’s working on now with classmates Aristide (Aris) Toundzi and Greg Hagin. 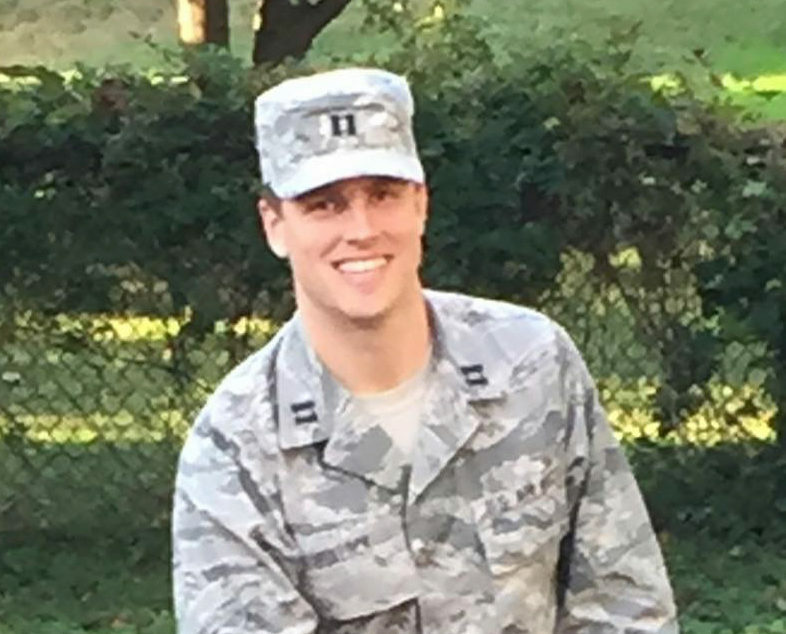 We recently caught up with Ben, who is an Air Force Captain at the Joint Chiefs of Staff in Washington, D.C., to learn more about his Wharton experience. I grew up in Atlanta in a real estate family. Real estate always seemed like a natural career path since it was in my blood. After college, I worked for an investment bank’s real estate investment group. I learned a lot and enjoyed that experience, but serving in the military was another family tradition that I wanted to follow. I decided to join the military with the intention of re-entering the business world later. I have served three years on active duty, and four in the Air Force Reserves. While in the Reserves, I worked on entrepreneurial real estate deals with my family’s real estate investing business. From there, I worked in a private equity firm focused on aerospace and defense. I went back on active duty about the same time that I started at Wharton and am now working at the Joint Chiefs of Staff where I focus on military strategy for the Middle East and South Asia. I had a strong interest in going back to school and Wharton had always been on my radar. I wanted to gain the skills and network to be able to start my own real estate fund or company. As Prof. Robert Borghese says, I wanted to “move from the labor side of the economy to the capital side of the economy.” I’m still in the military, but I plan to go back into the Reserves after graduation so that I can make that dream a reality. The Wharton Real Estate Department is one of the best in the world and every year it hosts an event that brings high-level leaders to campus. I attended that event in my first year and heard David Rubenstein, CEO of the Carlyle Group, talk about how the biggest opportunities in real estate are in Africa. Two weeks later, I was in my Entrepreneurship class and Aris spoke about how he was born in Cameroon and that his goal was to put together a real estate investment group to work on deals in Africa. A lightbulb went off and we immediately started talking about our shared interests. Aris, Greg and I also started working on those ideas as a class project. We made a good team: Greg has an extensive background in raising capital, Aris has a deep knowledge of Cameroon and has many local contacts there, and I have a real estate and private equity background. The more we talked, the more we saw that our ideas could really work. From that point on, we started taking classes and structuring independent studies to further our idea. We’re now doing our final project in a Private Equity class on raising capital for real estate investments in Africa. Our Africa project is an amazing way to combine my interests and experiences. Working in military strategy helped me become comfortable with emerging markets because we weigh many of the same risks as investors from political and economic to terrorism and infectious disease. It also incorporates my real estate and business background. As a child, our family vacations would always include property tours. That taught me the importance of site visits. Aris talked about these wonderful opportunities, but I knew that it wouldn’t be real to us until we saw the properties with our own eyes. So we decided to spend a week in Cameroon. It was a very valuable trip. Not only did we learn about the culture of Cameroon, we also met Aris’ family and looked at deals with his uncle, who is a real estate developer. On the last day, we were in the capital city and met with several high-level government officials, including the minister of development. He is extremely interested in solving the housing shortage and was pleased with our ideas. We came out of that meeting feeling like we were born to be doing this. There is a huge opportunity to make a big impact. My view of the world is definitely changing at Wharton; the world is becoming much smaller. So far, I’ve taken courses in China, Israel, the United Arab Emirates and Turkey through Global Modular Courses (GMCs) and the EMBA Global Business Week. Students engage with high-level business and government leaders during those courses and I’ve tried to make the most out of those connections. I now have contacts all over the world and I’m planning to leverage those connections as we raise capital for our investments in Africa. Wharton attracts amazing people to the EMBA program who are smart and doing incredible things in their careers. Students here are more experienced so they tend to be more interested in taking risk. My classmates have also been extremely supportive of our work in Africa. We’ve used this venture as the basis for five different class projects and in each class we end up working with different groups of students. So far, we’ve had around 40 classmates pitching in to help. And everyone is happy to share connections and insights. The professors have been very helpful too. They’ve talked through our concepts, made introductions, and suggested different deal structures. Wharton has made a huge impact on my career not only in terms of gaining technical skills and contacts, but also in gaining a global perspective and finding a way to make a significant difference in the world. I’m achieving my goal of starting a real estate investment fund, but on a bigger scale than I ever imagined.